October 26, 2017 — It is the nature of a job like mine that you visit a lot of places. Grantees want to show off their good work to you. People who do what I do are always looking to find good stories, or to check out sketchy ones. Earlier this month, the second stop on a daylong tour of Berks County sites we’ve funded left me stunned. I’m not easily stunned. Of all the site visits that I’ve done (surely thousands), I have never quite encountered what I saw at the Conrad Weiser Science Research Institute. 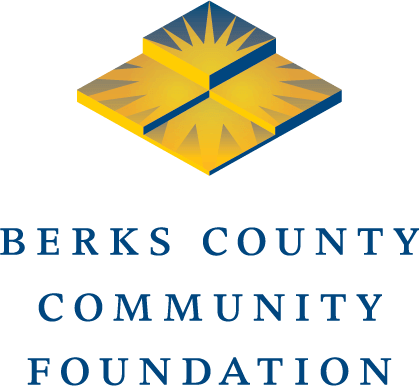 This program first came to our attention when my friend Tom Sheehan asked if we could help manage some funding for the Conrad Weiser Area High School as they were likely to be getting a corporate contribution for their science program. Conrad Weiser has transformed its high school science program into a science research institute. If that sounds like hyperbole, it’s because you weren’t on the visit. The students at Conrad Weiser are engaged in biomedical research at a level I’ve never seen in a public school setting. Or a private school setting. In fact, the closest I’ve ever been to research like this is on visits to graduate level research at Penn State, Pitt and Temple, as well as a visit to the Centers for Disease Control and Prevention in Atlanta. We met with a group of students who are working on individual research programs. I shall not pretend for a moment that I understood most of what they were talking about, but I got some of it. One young woman had given fruit flies concussions and later dissected their brains to discover that they secreted the same protein after a concussion that the human brain did. This apparently opens up new research opportunities for scientists studying human concussions. Another young woman was apparently studying how fruit fly knees could heal themselves after they were injured (these kids are hell on fruit flies). A third young woman was experimenting with a material called “bioactive glass” (a bunch of which was donated by the manufacturer) to see if she could develop a significantly better feminine hygiene product that would help treat women suffering from endometriosis. The feminine hygiene market is roughly a $20 billion market and, in this little rural school on the edge of our county, a high school student is doing research that is as sophisticated as the industry itself is doing. All of this is being driven by three highly-motivated and talented teachers: Adelle Schade, Adam Serfass and John Siefert. They’ve sought and received support from private industry in the form of equipment donations that allow them to do things like dissect fruit flies (not an easy skill to master, I’m told. Fruit flies are barely visible to the human eye). There’s machinery that scans DNA and a fair amount of equipment that I didn’t understand (and was afraid to touch). These are the kind of teachers that end up on 60 Minutes (in a good way) or get a movie made about them. In contrast to some of the other places we visited that day, the facilities at Conrad Weiser aren’t advancing the cause. They’re run-of-the-mill science classrooms straining to support what is literally cutting-edge research. Four of the students are developing what are likely to be patentable technologies. The list of awards the students have won in recent years in local, state and national competitions is five pages long. Universities are reaching out to the district to create partnerships and the district is attracting international attention. One recent grad just had her first paper published in a scientific journal. I doubt that I’m doing justice to the amazing work being done at Conrad Weiser. The level of knowledge of these students was so far past my ability to understand that I only grasped the surface (one student was removing fruit fly ovaries to study — I would never have imagined that a fruit fly had ovaries). We can’t really know yet what these teachers have unleashed. After only a few years, the potential is just starting to emerge. A lot of people in my business are trying to figure out how to turn this college or that hospital into a local hub for biomedical research. I walked out thinking to myself: Maybe our hub for cutting-edge biomedical research is a high school on the edge of our farm country. Just maybe it is.